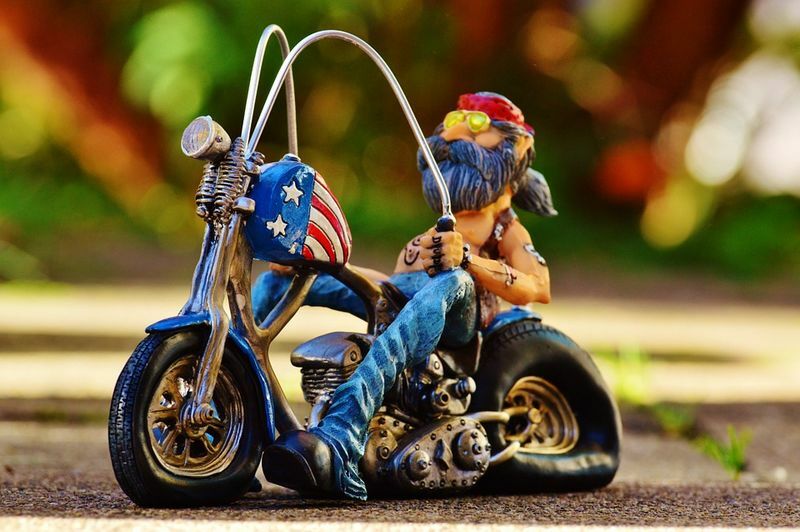 I don't know about you, but I cringe every time I see someone cruising along the freeway – whether on a superbike, big trailie or a cruiser – in shorts and a t-shirt. 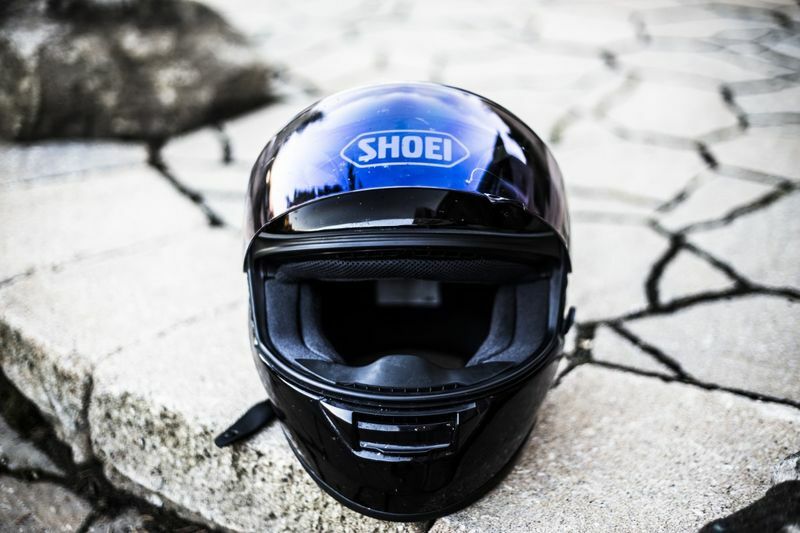 Along with a helmet and gloves, a riding jacket – the safest motorcycle jacket you can afford – should be an item of riding gear you never get on your bike without. A riding jacket should be a priority. A surprisingly safe mesh jacket for the rider who commutes in hot weather, or enjoys cruising and casual riding when the sun is out. A Smorgasbord of Choices – Which Jacket is Right for Me? As it is with most products these days, whether we're talking cellphones, motorcycles themselves or, hell, even trendy hipster craft beers, we're living in an era in which we're spoilt for choice. 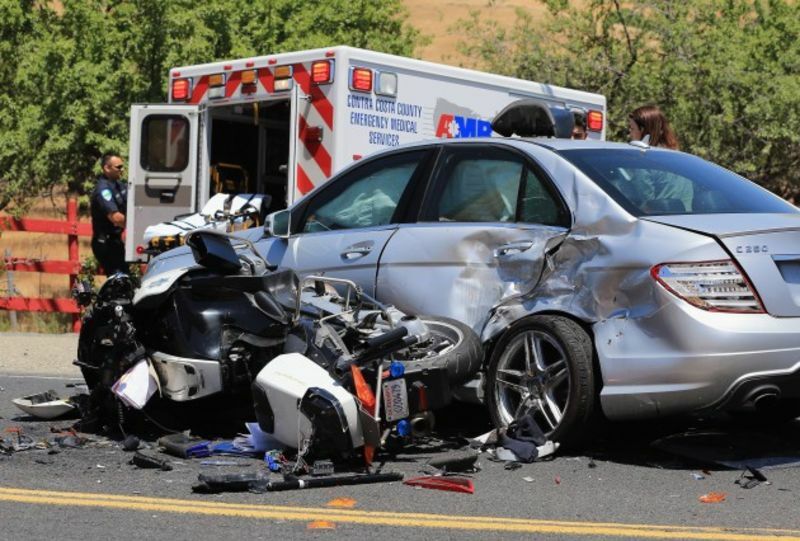 Long gone are the days when the one's options regarding the safest motorcycle jackets available consisted of “anything you want – as long as it's black and made of leather”. We now have jackets tailor made for every sort of riding one can imagine, from your basic cruiser type jackets (black leather is as enduring and timeless as blue denim in some spheres, it seems) to jackets for adventure riders wanting to brave a trans-African trip, or jackets tailor-made for superbike-riding speed demons. They all come in lots of bright colours too, with or without armor, and are made of many space-age synthetic materials, which offer just as much abrasion resistance as leather, without the weight, smell and heat-trapping properties of that substance. All of these come in a huge range of price segments too, so whatever your budget is, if you can afford to purchase something with two wheels and a motor, from the cheapest, nastiest Chinese scooter to the most exotic Italian racing machine, you can afford (and should budget for) a safe motorcycle jacket. It really is an important piece of equipment to keep you safe (source). So how does one go about choosing a jacket when confronted with such a spectrum of choice, such a vast range of items which all, in the most basic sense of the word, perform essentially the same function? 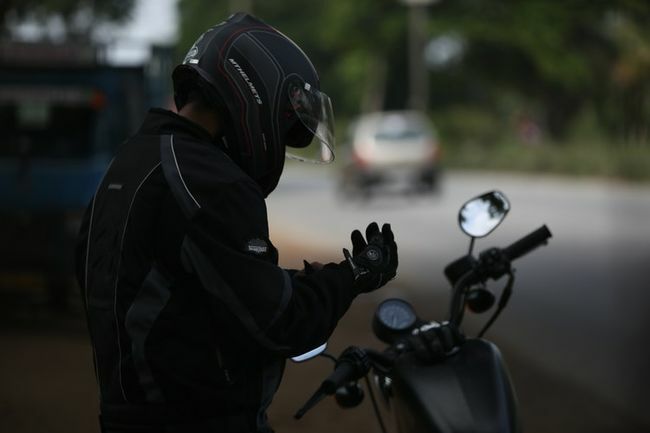 Well, as with many things when it comes to motorcycling, purpose and style are bound to be two of the main factors when it comes to choosing a motorcycle jacket. First, purpose: what kind of riding are you going to be doing? What sorts of speeds do you regularly do on the street? What sort of motorcycle do you ride? This last question ties in to the question of style as well. A black leather jacket accessorised with chrome “flair” and bling, with shaggy sleeves flapping with tassles, is going to look a little incongruent on a person riding a sleek Japanese superbike, as would a garishly-coloured, heavily-armored synthetic jacket on someone cruising around on a Harley. Thankfully for us consumers, jacket manufacturers generally categorise their jackets into various styles, which are easy enough to pair with the type of motorcycle you ride: “sports” or “racing” style jackets are obviously aimed at superbike riders, “street” and “stunt” are usually for riders of naked, sporty machines, “adventure” or “enduro” is aimed at those who ride big adventure bikes on long, often off-road or semi-off-road trips, while “touring” jackets are similar, but usually aimed at more road-biased riding, and the eponymous “cruiser” style jackets are for, well, cruisers. So now that you've narrowed down your options by figuring out what style suits your riding, how do you then select a good safe jacket out of what's available in your section of jackets. Well, to help you out there, we've taken a look at some of the most popular and safest jackets for protection while riding. A great, solidly-built mid-range multi-purpose jacket suitable for a number of riding styles. It won't break the bank and should last for many years. 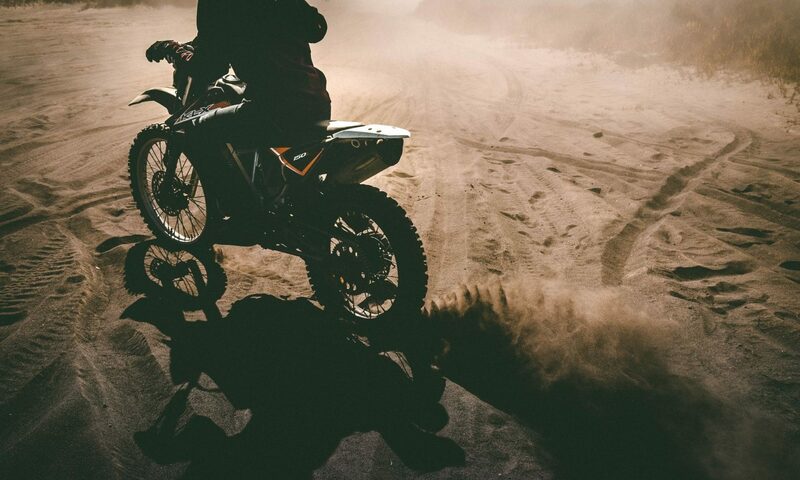 Let's face it: for most of us on two wheels, price is often a major factor that comes into playing\ when purchasing motorcycle equipment. 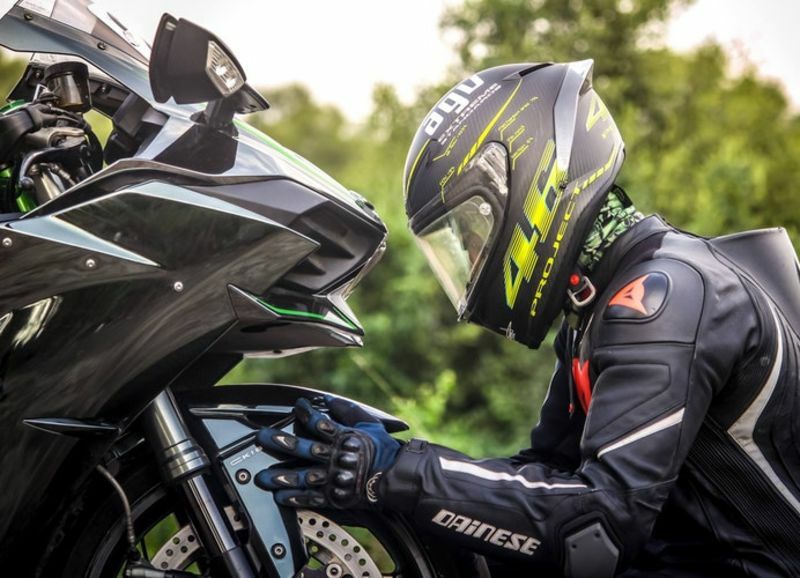 If you're don't ride a 1000cc superbike, you might feel like a thousand dollar armored leather racing suit is a bit overkill for you – but that doesn't mean you want to skimp on safety. Textile jackets have come a long way in the last two decades in terms of impact and abrasion protection, and Joe Rocket's Atomic 5.0 jacket is a prime example of a quality textile jacket built with both safety and price in mind. I like its somewhat understated style, which lends itself to crossing categories; I can see this jacket looking as stylish on the pilot of a sporty, naked machine as on a cruiser rider. Protection comes from its Hitena and Rock Tex shell, as well as from CE approved armor in the elbows and shoulders, along with a removable (and upgradeable) back protector. And in terms of practicality, it's fully waterproof and has excellent ventilation for those hot summer days. A fantastic, purpose-designed jacket aimed specifically at the adventure touring market. Great price and build quality. Over the last decade or two, adventure-style motorcycle touring has exploded in popularity, and this type of riding calls for rather specific gear. You need a jacket that offers not only abrasion and impact protection, but also protection from extreme weather, as well as the need for a lot of pockets and compartments for your touring goodies. The Pilot Trans.Urban V2 jacket offers all of this in an attractively-designed package. I like the fact that a high-vis version is available too; making yourself visible on dusty roads or in countries in which driving manners and safety are, ahem, less than stellar, is a prime safety factor. This is a high-spec jacket for a decent price, and offers great crash protection, with armor in the elbows and shoulders, as well as outstanding weather protection for all sorts of climatic extremes. A slickly-styled, superbly constructed racing-style jacket aimed at people who enjoy track-oriented, high speed riding. No jacket lineup would be complete without at least one Alpinestars jacket in it, so here we have the Alpinestars Jaws Air Street Jacket. Yes, it's labelled a “street” jacket but it's definitely aimed at the rider who pushes his or her machine to the limits of its performance and regularly attends track days. Cut from 1.3mm leather, it provides maximum abrasion resistance, and comes with top grade elbow, shoulder and back armor, with the option to add chest armor too. It weighs a hefty sixteen pounds, and is cut for the rider who speeds most of their riding time in an aggressive, wrists-down-bum-up crouch. This jacket is definitely not aimed at the casual rider or tourer; no, the style and cut of the Jaws Air jacket screams “racer”. All of these features come at a price though: a cool five hundred dollars. As safe as you can get. What's this? A mesh jacket in a lineup of (supposedly!) 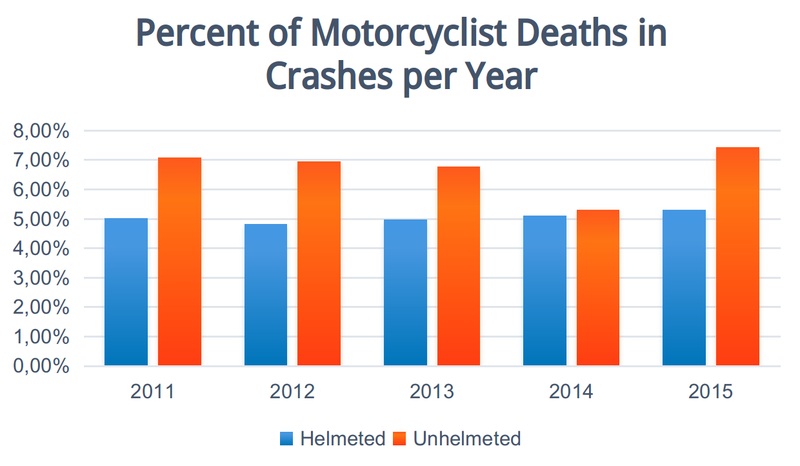 safe motorcycle jackets?! Get outta here! But wait! Before you go, I think you should know that the mesh on this jacket is made of Kevlar fibre. Yeah, the stuff they make bulletproof vests out of. 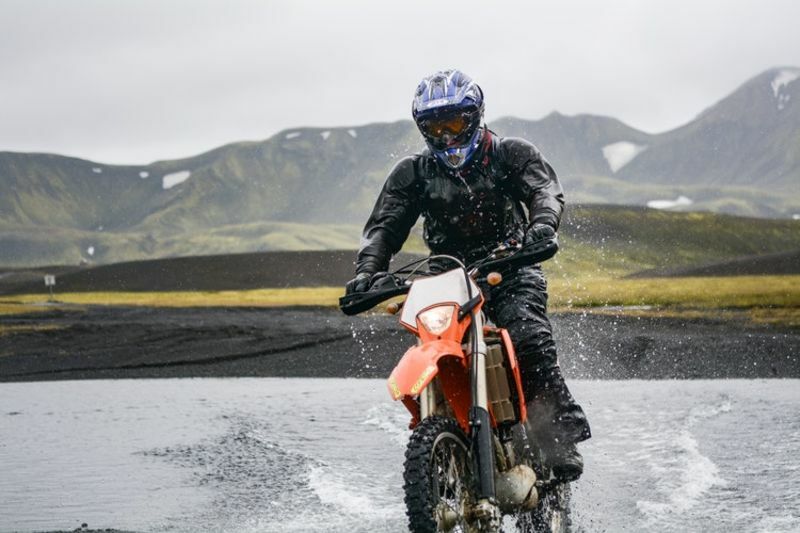 Because of this, the Klim Induction jacket actually provides very good abrasion resistance while providing maximum air flow through the jacket, which is essential for those of us who live in hot climates. Let's face it, getting heatstroke from sitting on your bike in traffic in a 30°+ days in a heavy leather jacket is no fun. The Klim Induction jacket, with its fantastic airflow combined with armor in the shoulders, elbows and back looks to me like a great choice for casual to somewhat spirited street riding on hot days. Hi-vis option available for even better street safety. Pricey for a mesh jacket. A classically-styled jacket that has the option to add armor to it. Decently priced and very well-made. For bikers who ride cruisers, cafe racers or retro-style muscle bikes, style is a huge part of their approach to motorcycling. Part of the statement one makes when riding such a machine, of course, is the riding gear one wears, and this stylish offering from Joe Rocket combines classic lines with high build quality and good safety features; not only is it constructed of tough 1.2mm leather, it's also got pockets in the elbows, shoulders and back into which armor can be inserted. I'd pick this jacket if I had a muscle bike; the look of the jacket complements the bike, and vice versa. For a leather jacket (which are more expensive than textile jackets, generally) the price is decent too. Not great for hot weather riding or high-speed stuff. My personal pick of the bunch would be the Joe Rocket Atomic 5.0 textile jacket. I don't ride at insane speeds any more, preferring instead a more relaxed riding style, but do enjoy an occasional spirited jaunt, and for these purposes the Atomic 5.0 is ideal. The decent mid-range price of this jacket is the cherry on top of a great, safe package.